Enable fleet management capabilities for devices that support our Fleet Management Interface with this power/data cable¹. The mini-B USB connector provides for easy and safe connection of the cable to the Garmin device². 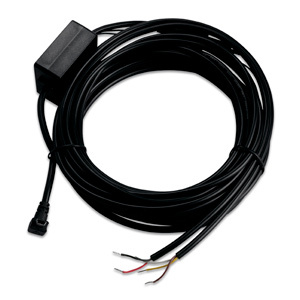 ²Connection of 3rd-party power cables and/or data cables to the Garmin device is an express exception (vi) in the 1-Year Consumer Limited Warranty.